London Collections Men or LCM as it is also known is now over, with all the attention now on Pitti Immagine over in Italy. Here in Ireland we are lucky enough to be blessed with many great style influences. 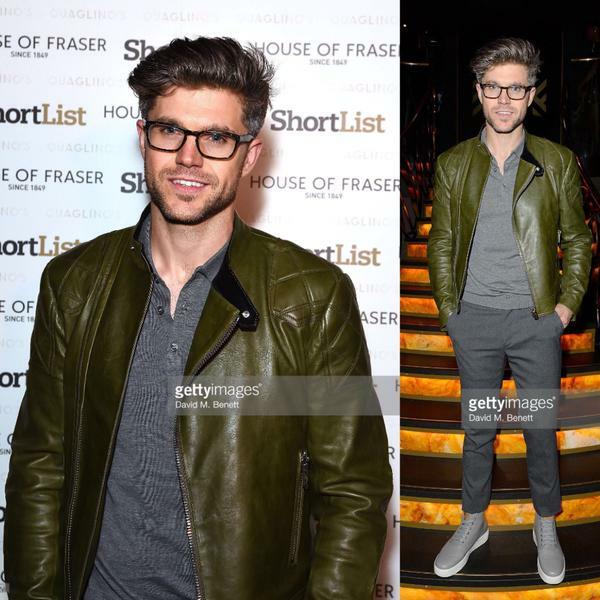 I am going to look at Darren Kennedy’s outfits throughout LCM and see how you can copy his look and maybe you too can vote Ireland’s most stylish man. 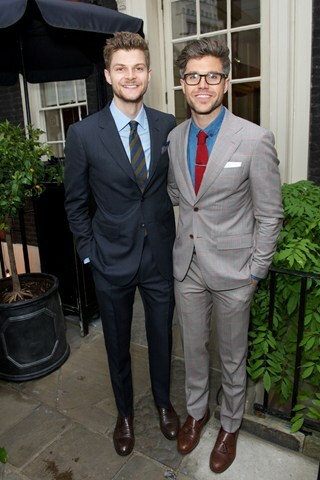 Darren is seen here with Jim Chapman wearing The Samson from his S/S15 DKxLC collection with master tailor Louis Copeland. This suit is now available to buy at any of Louis’ stores in the Dublin area. I like how Darren has paired this suit with a denim shirt and knitted tie and a pair of double monk straps. You can style your Samson suit with similar products from River Island, Pull and Bear and ASOS. Add the finishing touches with a white pocket square from Burton Menswear. 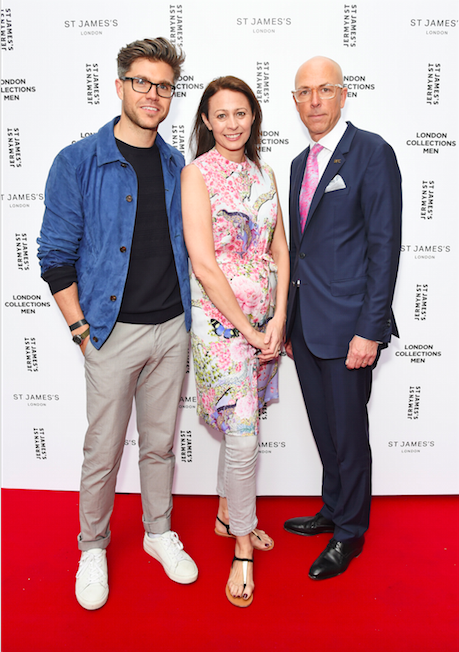 Pictured here with Caroline Rush and Dylan Jones of GQ really nailing the smart casual look. It is ideal that you keep the sneakers box fresh white as I find it absolutely key to the look. Here is a pair from River Island to start off the look. I really love the cobalt blue jacket, it really catches the eye.here is a light blue version from ASOS that will work just as good. To finish off the look I am going to pick this navy crew neck jumper from Matalan and slim fit grey chinos from Topman. Finally we come to the last outfit. Darren is looking sharp in a Bally biker jacket. I love how the different shades of grey make up the base of the outfit and the green biker really makes the outfit pop! Here is a leather jacket from ASOS that will set you in the right direction. Now for the grey base. I have chosen a long-sleeved polo and slim fit trousers from ASOS. I finished off with some Kurt Geiger hi tops from Debenhams. I hope you have enjoyed this style diary! which one was your favourite outfit? ← Dublin and Birthday Haul!